One of the greatest ice hockey players of all time. He won two Stanley Cups with the Colorado Avalanche, 2 World Championship titles and 2 Winter Olympic titles for Sweden. Peter ”Foppa” Forsberg is a Swedish retired professional ice hockey player, who stands eight all-time in career points-per-game, and fourth all-time in career assists-per-game in the NHL, only behind Wayne Gretzky, Mario Lemieux, and Bobby Orr. His 19-year professional career includes 13 years in the National Hockey League (NHL), winning two Stanley Cups with the Colorado Avalanche, awarded a wide range of individual honors, including the Hart Memorial Trophy in 2003, and named one of the ’100 Greatest NHL Players’ in history. In addition, Forsberg, represented Sweden in international play, winning two Olympic Gold medals, and two World Championships, becoming a Triple Gold Club member as a combined result, and the only Swede who has won each of the three competitions twice. 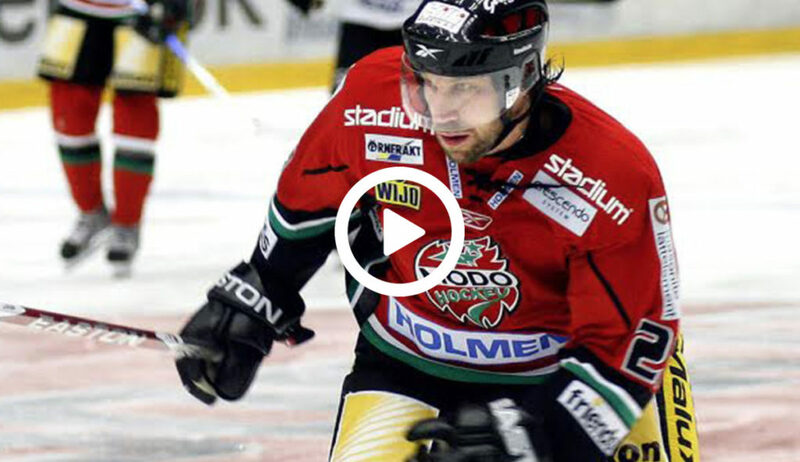 Known for his on-ice vision and physical play, ”Foppa” delivered a whole series of golden moments, including his unforgettable stunt during the penalty shootout at the 1994 Olympic Hockey Final at Lillehammer, Norway. An image of Forsberg scoring this goal was printed on a Swedish stamp, making him the first hockey player to be placed on a Swedish stamp. Forsberg was inducted in the IIHF Hall of Fame in 2013, and he was elected into the Hockey Hall of Fame in 2014. Peter Forsberg had his jersey number, 21, retired by the Colorado Avalanche In 2011, having played 12 seasons for the team. Peter Forsberg sits down with Chris in Stockholm, and shares: how he grew up in Örnsköldsvik in the north of Sweden, lived through hockey, talent, practice, preparations, analyzing, hard work, competing, winning the World Championship when he was eighteen years old, Olympics at twenty, and Stanley Cup at twenty two, pressure, mental aspect, not accepting to loose, physical play, reactions, respect, hits, big games, goals, agents, coaches, individual scorings, number 21, most valuable player, visualization, push yourself to become better, learning the game, traditions, Swedish League, NHL, play-offs, Olympic Games, World Championships, Joe Sakic, Wayne Gretzky, Mario Lemieux, Denver, after retirement, juicing, motivating factors, overall vision, and more. What his friends meant by physical play? Did you bring the flowers?